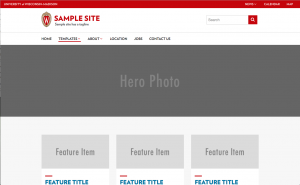 The home page template includes a hero image, row of featured content, a stylized pull quote, and body copy. 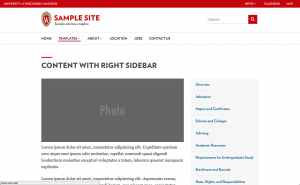 The classic content with right sidebar template includes a main content area with a right sidebar menu that can also include other sidebar boxes. 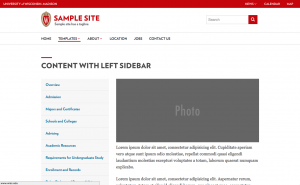 The classic content with left sidebar template is exactly the same as the content with right sidebar, other than a single CSS class is added to switch the visual order of the main and sidebar containers.